The prevalence of lower back pain in children and adolescence has increased over the years due to a change in lifestyle and daily activities. 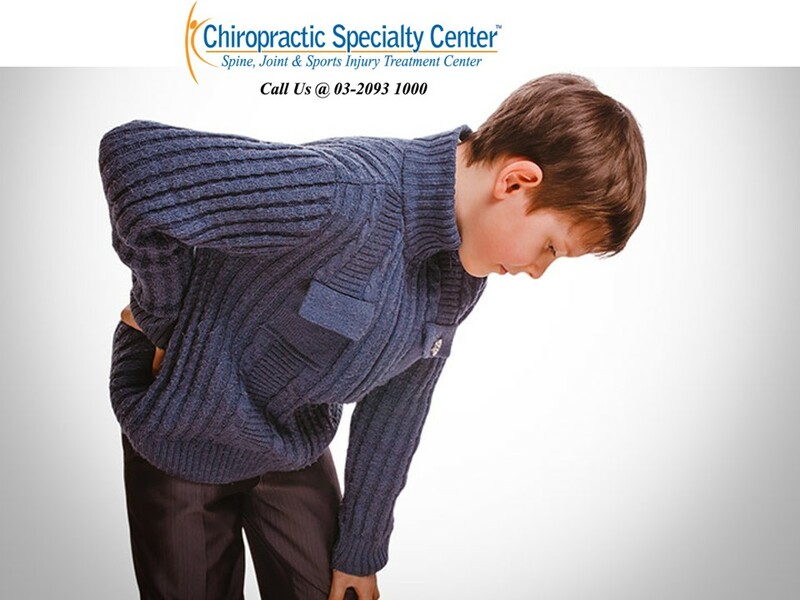 This poses the affected kids at higher risk of low back pain in the adulthood life. There are a few risk factors that may have been contributed to the lower back pain in this age group. Ergonomics of school furniture, school bag weight and mechanics, trauma, history of scoliosis and participation in strenuous physical activities may be associated with lower back pain in children. Psychological and psychosocial factors may complicate a low back pain case in this age group. Uncomplicated mechanical low back pain is the most common diagnosis for lower back pain in young persons. It is rare to have pathological causes such as neoplasm and infection. Most of the cases are self-limiting or have a favourable result with conservative management. Uncomplicated low back pain in kids normally resolves in one week with conservative management. Pathological causes or other non-pathological causes should be considered if the uncomplicated low back pain is not responding to conservative management. Intervertebral disc can be another source of low back pain in kids. Lumbar disc herniation (protrusion, extrusion and sequestration) may cause low back pain. History of trauma prior to lower back pain is a common finding in lumbar disc herniation. Annular tears and inflammation of the structures around the intervertebral joint can lead to symptomatic lumbar disc herniation with pain and movement restrictions.